At Western Energy Systems, we are capable of taking on the project management role as well as providing the equipment for large-scale energy projects. The project highlighted here is the first landfill-to-gas-energy (LFGTE) project commissioned in Alaska. It was commissioned as part of an overall goal to create more renewable energy sources for the United States military installation Joint Base Elmendorf-Richardson, located in Anchorage. The Joint Elmendorf-Richardson base is the largest military installation in Alaska and is home to the Air Force Headquarters Alaskan Command, Alaskan NORAD Region, Eleventh Air Force 3rd Wing, U.S. Army’s Alaska 4th Brigade Combat Team, 25th Infantry Division, 2nd Engineer Brigade, and numerous other groups including military families. 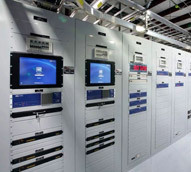 At peak demand, this population requires nearly 11 megawatts of power. The base recently set a goal to obtain 7.5% of their energy needs from renewable energy sources. Doyon Utilities LLC, who currently manages 11 US government installations, including the Joint Elmendorf-Richardson base, sought us out to assist with the development of these renewable energy sources. 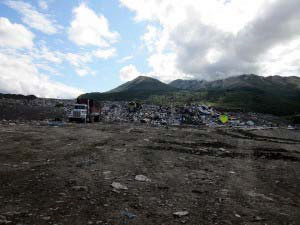 The nearby Anchorage Municipal Landfill was opened in 1987 and it is currently one third full. By capturing the methane that is released as a result of the refuse decomposition, the gas can be directly converted to usable electricity. This not only provides a source of renewable energy, it prevents methane, which has an effect on global warming that is 21 times greater than carbon dioxide, from entering the atmosphere. The landfill is expected to reach its capacity of 40 million cubic yards in 2045, and as the volume of refuse increases, the LFGTE system can be expanded to capture the increase in methane emissions. The GE Jenbacher equipment that was specified for this project represents the highest efficiency product available in its class. It incorporates patented Leanox® Lean Burn Control and high-power turbocharger features to optimize the air fuel mixture, depending on the specific operating conditions, which maximizes efficiency and minimizes emissions. 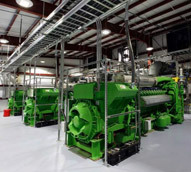 The GE Jenbacher J420 landfill gas engines that were selected for this project are part of GE’s Ecomagination portfolio, which represents a comprehensive line of innovative products that have been developed with a focus on efficiency and environmental stewardship. There are currently over 1,650 of these units operating worldwide, producing enough energy to power half a million homes. 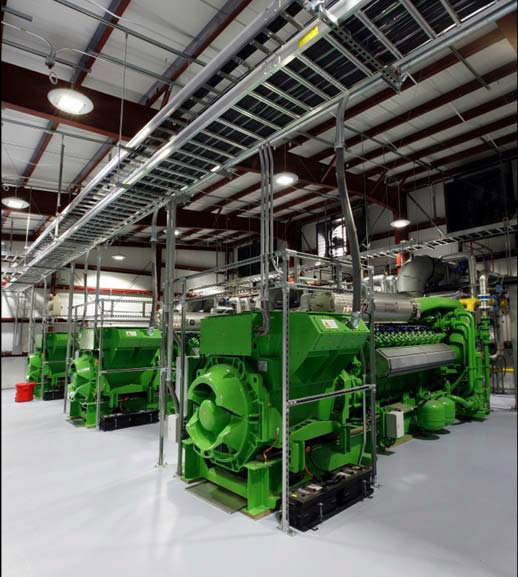 For this project, we provided four Jenbacher J420 engine-generator sets that were integrated into the rest of the gas conversion and power generation equipment. 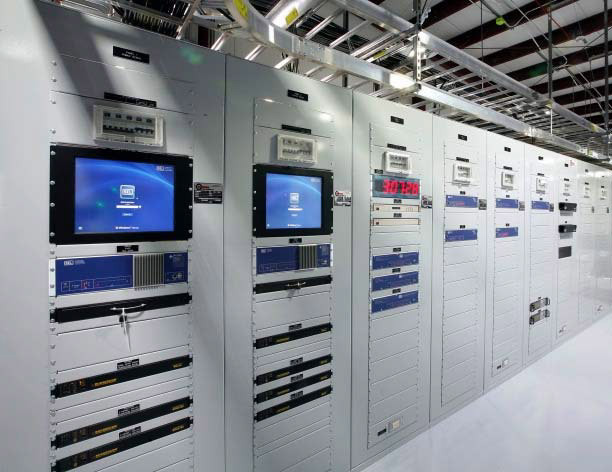 Our project management responsibilities included delivery, commissioning, and technical support of the equipment we provided. The five units used in this project generate a total of 7.0 megawatts of power, providing the capability to power nearly 2,000 homes via energy derived from landfill gas. This project is expected to save over $50 million dollars over the life of the project while helping the military meet its renewable energy goals. For additional information about this project, see the table below, or contact us directly. 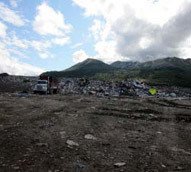 The Anchorage Regional Landfill has the capacity to hold 40 million cubic yards of waste and is currently one-third utilized. While the landfill expands and produces more methane it allows the LFGTE plant to increase its electrical producing capability. 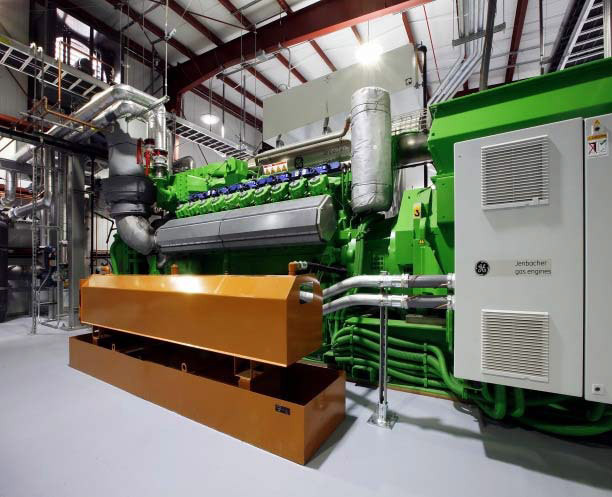 Four GE Jenbacher J420 engine-generator sets produce 6.5 megawatts of power. A single megawatt is enough to power 300 family homes. The methane gas used to power the equipment would have been wasted by being release into to atmosphere as a potent greenhouse gas. 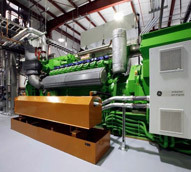 Western Energy Systems provided four Jenbacher J420 engine-generator sets and integrated these with the balance of the plant equipment required.